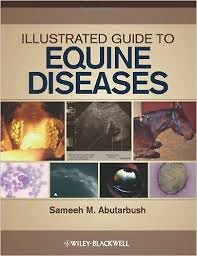 Illustrated Guide to Equine Diseases covers an extensive range of diseases with over one thousand color figures that provide equine clinicians with a multitude of diagnostic references. It covers diseases of the respiratory, gastrointestinal, nervous, reproductive, ocular, musculoskeletal, urinary, integumentary, endocrine, and cardiovascular systems, and provides readers with a clinical picture of each disease, including a brief synopsis, presenting signs, and diagnostic procedures. It not only examines diseases from a clinical approach, but also includes diagnostic modalities such as radiology, nuclear scintigraphy, CAT scan, cytology, histopathology, and postmortem findings.